Climb Mount Elbrus, Europe’s Seven Summit and explore St. Petersburg and Moscow. 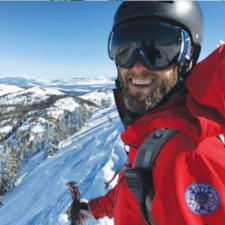 For proficient backcountry skiers, there is the possibility of skiing. Our local logistics operators guide us in understanding the cultural significance of the Elbrus region. Mt. Elbrus, a dormant double-coned volcano, rises to 18,510′ / 5642m. Its double peaks tower over the stunning western Caucasus Region of Russia, near the border of Georgia. 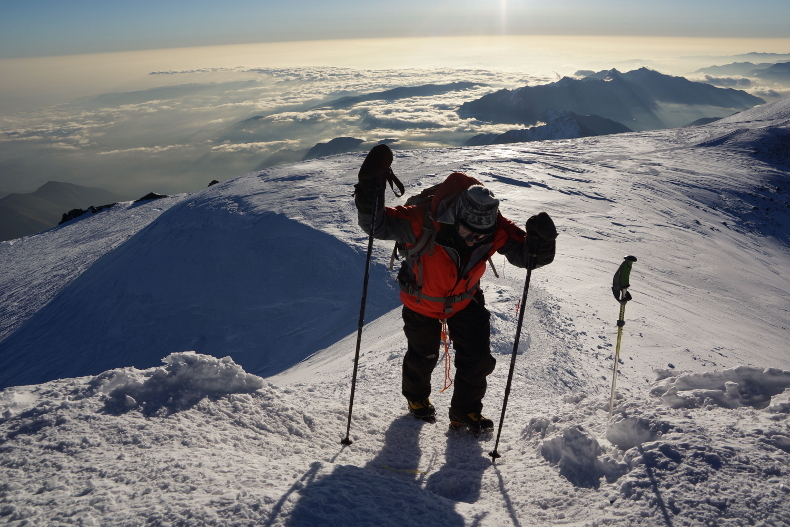 Elbrus is the highest point in all of Europe (& Russia), making this climb one of the renowned ‘Seven Summits’. 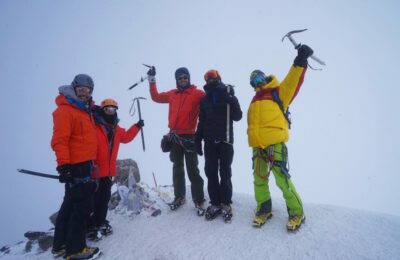 Boasting 22 glaciers on the peak, this is the perfect introductory climb for anyone with a strong fitness level who wishes to build glacier climbing skills, climb a moderate high altitude peak, and explore the fascinating and diverse Russian culture in the Caucasus mountains and the famed cities of St. Petersburg and Moscow. 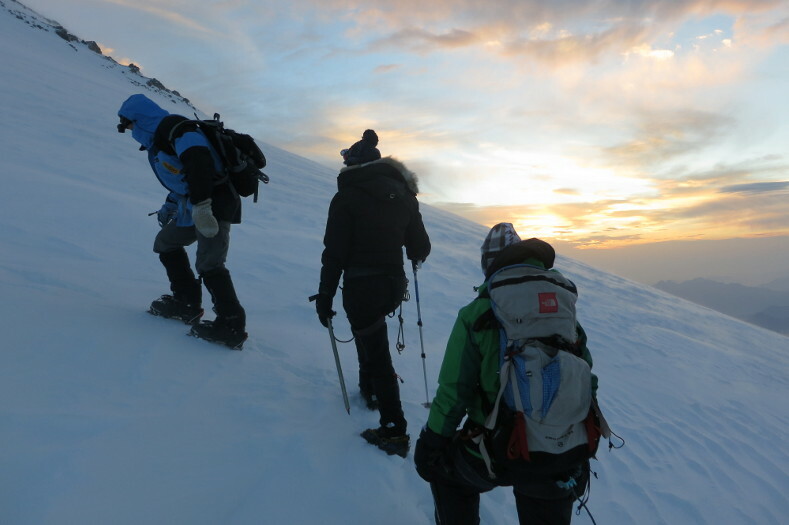 Alpenglow Expeditions climbs Elbrus from the accessible south side, which benefits from the use of snowcats and chairlifts to gain altitude and mountain huts for sleeping. This means that you only have to carry a small pack on all of your climbing days, allowing you to enjoy your summit experience much more. 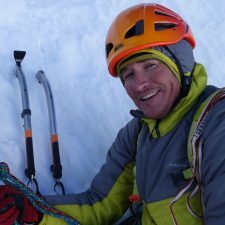 Lots of time is spent acquiring the necessary skills to climb a glaciated snow and ice route, and the terrain creates a perfect progression from low angled cramponing early on the mountain to more exposed and steeper slopes on summit day. Our trip begins in the cosmopolitan city of St. Petersburg, City of the Tsars. One simply could not visit Russia without seeing this city, known as the Venice of the North. We then travel to Mineral Voldy and begin our acclimatization and climb. The first few days are focused on day trips that allow us to acclimatize and develop glacier climbing skills. After that we move up to a mountain hut known as the Barrels. Thanks to our local Russian support team, we will continue to eat well and carry only light packs, even at this camp high on the mountain. 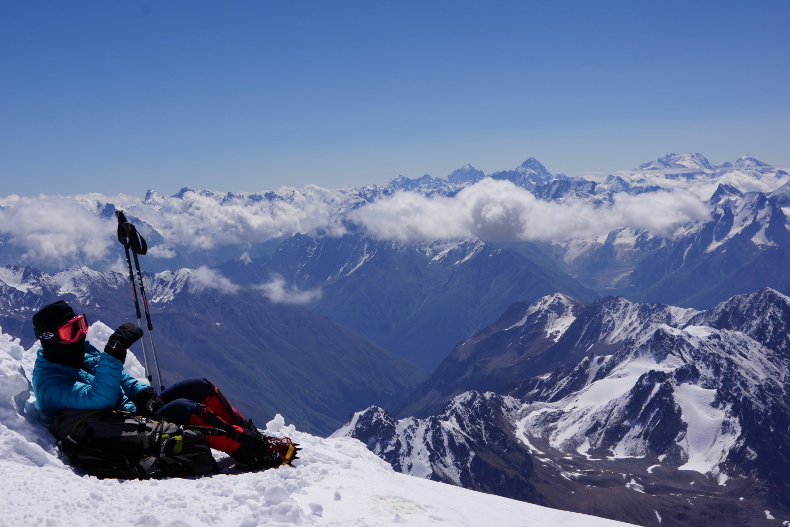 Summit day on Elbrus is strenuous and long. 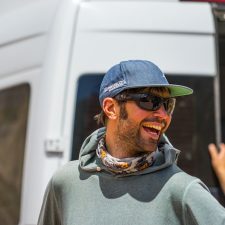 We wake around 3 am and have a quick breakfast before boarding a snowcat to take us to our previous high point on the mountain at 15,000 feet (4,572 meters). From there we don crampons, rope, and ice axe and begin the climb. As the sun rises we will be high on the mountain, with the sun giving us energy for the final push. From the summit we will enjoy well deserved views of the surrounding peaks before making a quick descent back to the hut. After descending to the valley, we fly to Russia’s capitol and Europe’s largest city, Moscow located on the Moskva River. We will visit the famed Saint Basil’s Cathedral, the Kremlin and Red Square and celebrate our climb in this historically and economically significant city. Our Mt. 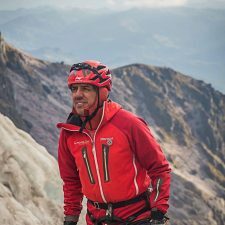 Elbrus expedition will be led by one of Alpenglow’s lead guides. 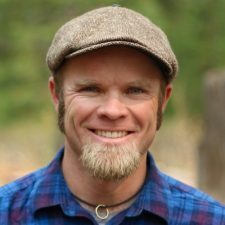 Our guides are fully certified AMGA/IFMGA guides. We will be supported by a great team of Russian guides and a cook. Their experience and local knowledge will not only make your trip more comfortable, they will also add to your understanding of this mountain and the local people. If you are an advanced skier with backcountry (off-piste) experience, it is also possible to arrange to ski Mt. Elbrus. Since ski mountaineering is one of Alpenglow’s guides favorite activities, we would love to arrange a ski descent for you! Please call us to discuss this option. Explore St. Petersburg, perhaps Russia’s most beautiful and interesting city. Russia’s cultural hub is a fascinating mix of historical sights and trendy modernism. We will spend the entire day touring the city, and will visit the famed Hermitage, St. Isaac’s Cathedral, and the Fortress of Peter and Paul. Fly to Mineral Voldy and travel by bus to Terskol in the Baksan Valley. This short flight should give us excellent views of the Caucasus and possibly our first peek of Mt. Elbrus. The bus ride is 3-4 hours but will pass quickly with the stunning views. Our hotel in Terskol is new, next to the ski lifts, and has excellent local and international food. Today we take an acclimatization hike in the stunning Baksan Valley. Steep paths wind all through the valley and many options exist, including possibly using one of the local ski lifts to gain more altitude. We return to our hotel for the night. While continuing to acclimatize we hike to a local glacier and spend half the day teaching and reviewing crampon and ice axe technique. 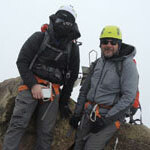 This practice is essential for safety and efficiency on Elbrus. We return to the hotel for the night. Today we begin our actual climb of Mt. Elbrus. 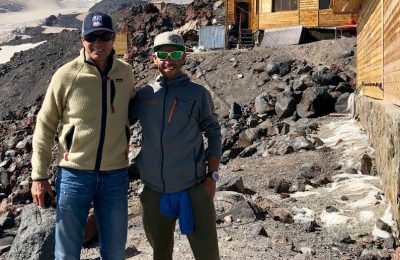 Through a combination of ski lifts and hiking we arrive at The Barrels, cozy mountain huts at 12,300 feet (3,750 meters) on Elbrus. To ensure we stay well fed and healthy, we will have a Russian cook with us at the huts preparing mountain food and making our stay more comfortable. 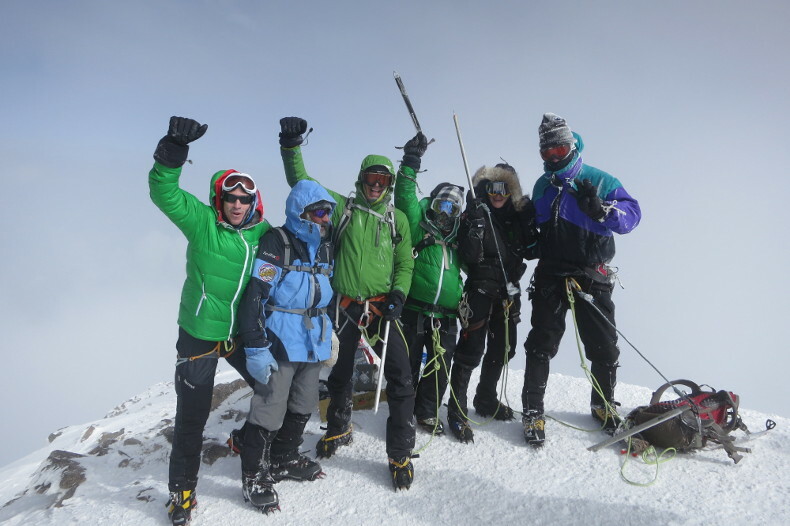 Climb to Pastukhov Rocks at approximately 15,000 feet (4,572 meters). 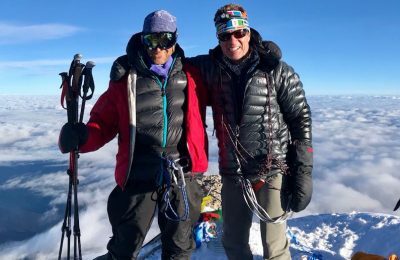 As well as a chance to practice our glacier and crampon skills, this is also an important climb for acclimatization and a great time to see the route on the mountain in daylight. We return to the Barrels for the night. Rest and practice additional crevasse rescue and advanced glacier skills. Since tonight’s climb is quite long and will require all of our energy, it is important we conserve, while also eating and hydrating as much as we can today. Night in the Barrels. Summit Day! We wake around 3 AM for a quick breakfast and hot drink. An optional snow-cat (weather dependent) takes us to our previous highpoint at Pastukhov Rocks, just below 15,000 feet (4,572 meters). 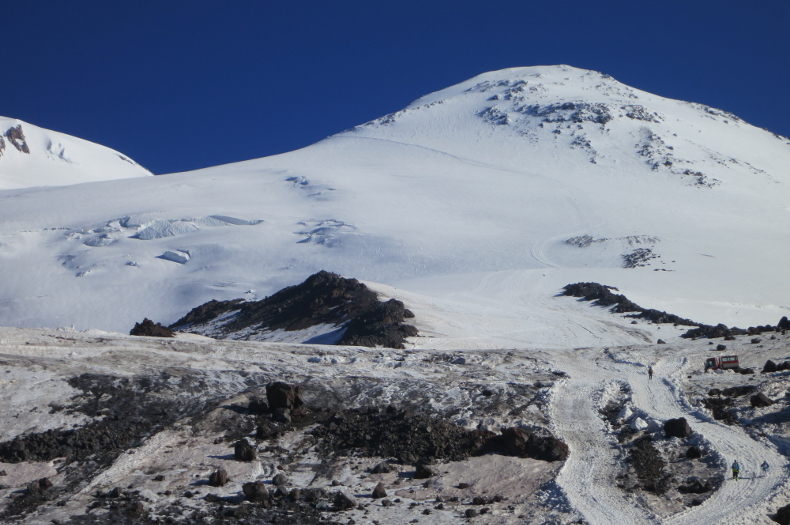 From there it is almost 4,000 vertical feet (1,220 meters) to the summit of Elbrus, primarily on open moderately angled glaciers. We should reach the summit mid-morning and have stunning views of the Caucuses from Europe’s highest summit. 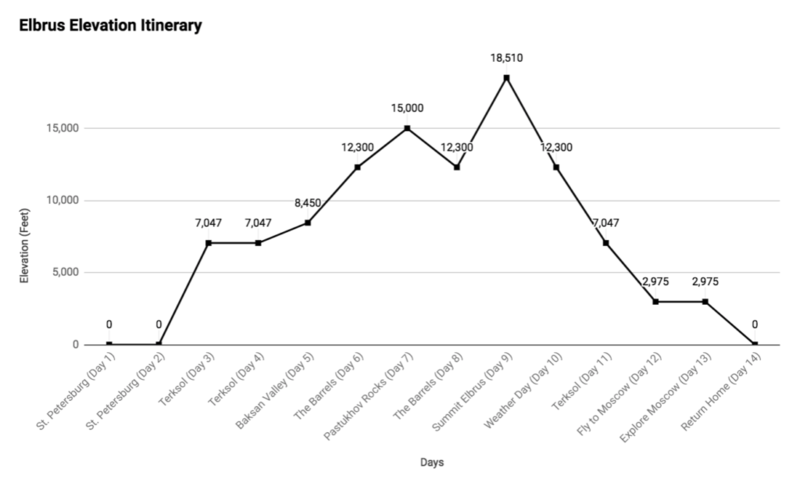 The round-trip climb back to the hut takes around twelve hours. An extra summit day. 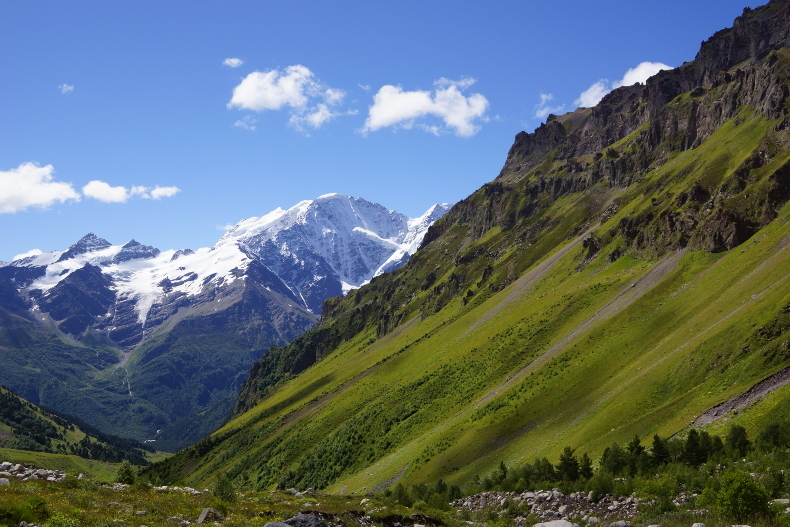 If we have already climbed Elbrus, we descend to the Baksan Valley today. Night in Hut or Hotel. Return to our hotel in the Baksan Valley. If we have already descended this day can be spent hiking, climbing, or just relaxing and celebrating our ascent. Drive back to Mineral Voldy and fly to Moscow. After checking into our hotel we will wander the city and eat a fantastic dinner. Spend the day exploring Moscow, visiting the Kremlin, Cathedrals, and Red Square. Would you consider organizing a custom expedition to Elbrus? Yes! We love arranging custom itineraries that can suit your parameters.